Creating a brand strategy that connects with customers. 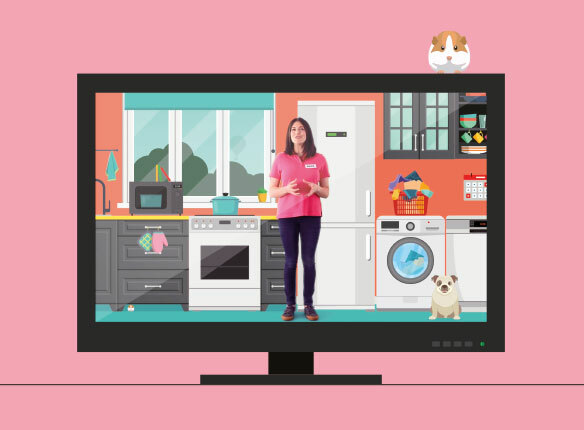 ‘Home Appliance Guard’ had successfully grown since 2012. However, new services and a widening of the product offering required the business to look for a new strategy. 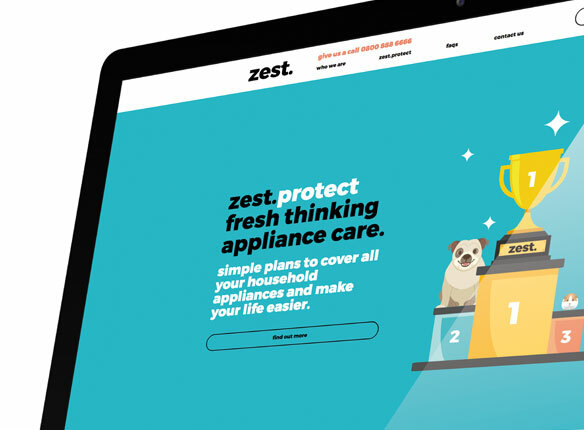 Home Appliance Guard became – Zest. With the arrival of a new brand came a new company ethos, working practices, HR polices and obviously marketing and website materials. Halo were tasked with defining the business ethos, its values and what would drive all aspects of the messaging. The challenge from the directors was to be disruptive. The strengths of the business were its honesty and integrity. Which sadly lack in much of the appliance warranty market. 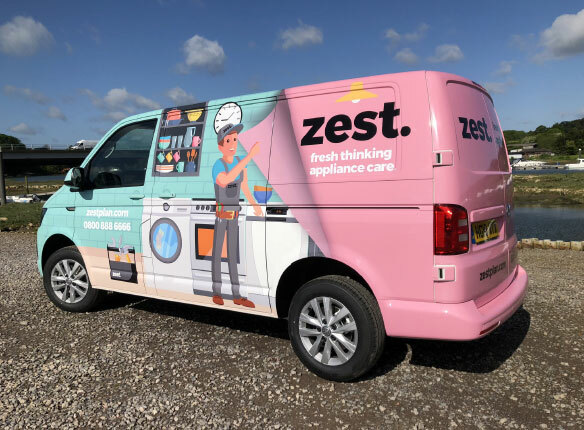 We created zest and fresh thinking appliance care. Gone were the stuffy and confusing forms, brochures and web pages. A new clear and friendly brand was created to help customer understand what is a complicated subject. We have completely transformed a VW Transporter with the bespoke Zest illustrations. 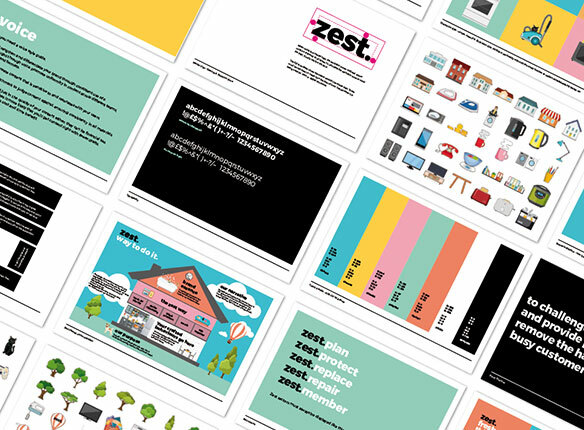 Every Zest illustration has been created in-house.. Creating a completely unique identity as Zest. As well as bespoke illustrations, we have also created caricatures for every Zest employee. After 6 month development the new plan was launched to staff in June 2018, with training and product introduction events. The majority of conversion is still focused around the call centre, the new brand has been well received by new and existing customers. Conversion has increased as well as the number of multi item policies being taken out.